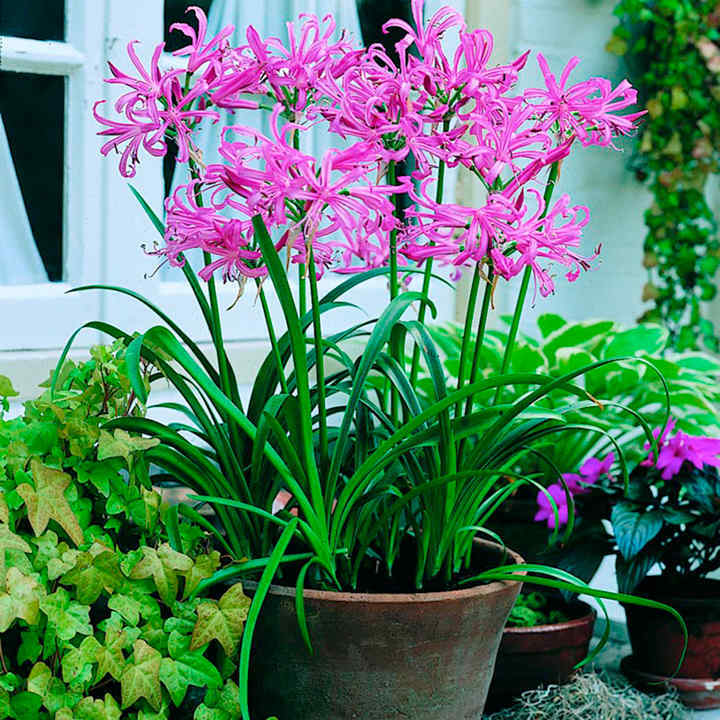 Grown in pots or as a thick row in a border, Nerine bowdenii is one of the best additions to an autumn garden. 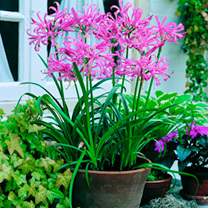 It produces heads of up to 10 vibrant, dark pink, lily-like flowers with wavy petals. The blooms are long-lasting and the bulbs can keep on multiplying and flowering reliably from late September to November each year for over 20 years! Height 50-60cm (20-24”).